Hi there. I have a card here for the current challenge at Daring Cardmakers, and their inspiration picture. The challenge is to choose three elements. 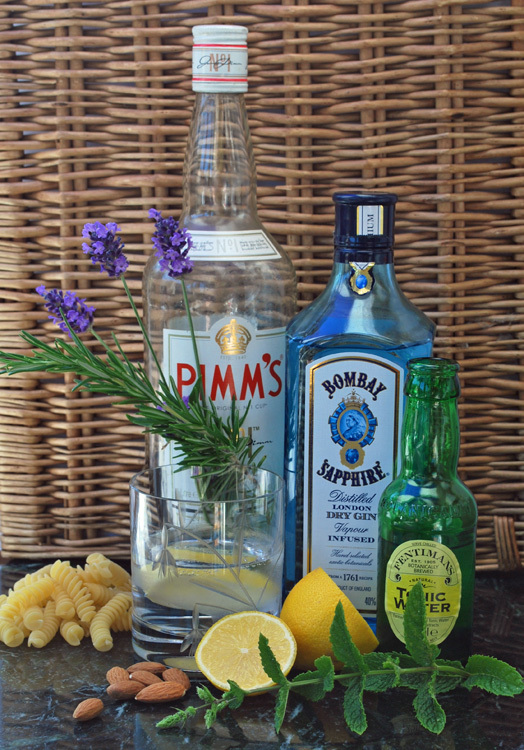 I chose the basket effect, flowers, and glass containers – the blue glass to also match the Bombay Sapphire bottle……love that drink! The stamp set is from Altenew – Garden Silhouette – as I wanted solid flowers, which didn’t require any layering. I did make it a little more difficult for myself, as I stamped the images in two colours, masking off the flower to stamp the stem and leaves in green, and masking the stem to stamp the colours of the flowers. I don’t know why I bothered, really, as I covered the stems anyway…….behind the glass…..oh well. Lesson learned. The glass containers were stamped off, then stamped again as the original colour would have been too bright for my taste. These embossing folders really do give a fabulous 3D effect, don’t you think? I chose a smaller sentiment in the corner, as opposed to a larger one so it didn’t detract from the card, but also added a little something extra. Fabulous take on the picture! That basket weave embossing is so realistic and you can’t go wrong with a flower in a jar, love it! Thanks for joining us this week at Daring Cardmakers!